Valerie Hotzfeld, NV9L, of Crescent City, Illinois, is the 2018 Hamvention® "Amateur of the Year." The Hamvention Awards Committee -- chaired by Michael Kalter, W8CI, and Frank Beafore, WS8B -- this week announced its 2018 award recipients for Club of the Year, Technical Achievement, and Special Achievement. "I am extremely honored to even be nominated for Amateur of the Year, let alone to win this award," Hotzfeld told ARRL. "I would like to thank the Hamvention Awards Committee. Their decision must have been a tough one, as I am certain the other nominees have done an outstanding job representing this hobby too. I would also like to thank those who mentored me throughout my different learning phases of this hobby. 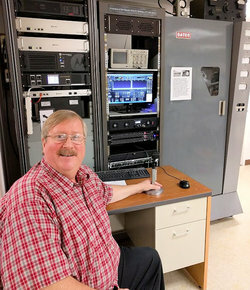 Not only has Amateur Radio been a life-changing experience for me, there are so many helpful hams in this hobby that it just feels natural to give back." First licensed in 2006, Hotzfeld has been very active in local Amateur Radio clubs and in ARES. Once she "discovered" HF, she became obsessed with DXing and contesting. 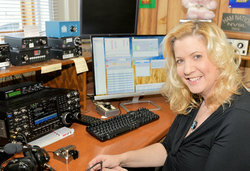 In the past few years, she has enjoyed inviting new hams to her station to DX or contest. She has been the pilot or lead pilot for four major DXpeditions. Hotzfeld also is a co-host of the Ham Nation webcast and has created how-to videos on YouTube for the ham radio community. In 2017, Hotzfeld became engaged in public service, first traveling to Texas in the wake of Hurricane Harvey to help rescue small animals. She subsequently was deployed to Puerto Rico with the American Red Cross for 3 weeks as part of an Amateur Radio volunteer contingent, facilitating critical communications after Hurricane Maria. The Portage County Amateur Radio Service (PCARS) of Ravenna, Ohio, is Hamvention's 2018 Club of the Year. PCARS was established in November 2005, and it is an ARRL-Affiliated Special Service Club. PCARS members average more than 40 hours of club activities each month, including special interest groups, license training, contesting run from the club site (K8BF), and club social events. "Our members cover a wide range of interests that allow us to support public safety organizations, student outreach programs, and activities focused on growing our hobby," the club told the Hamvention Awards Committee. "We love to share our experiences and have a requirement that our events be filled with a lot of fun. Members have joined PCARS because of all the activities and fun we have." The club donated more than $6,000 in time and money to the community last year. It has created its own contests and events, including the annual Freeze Your Acorns Off in February and Ohio State Parks on the Air, which was used as a model for ARRL's year-long National Parks on the Air event in 2016. PCARS sponsors several "Build Days" each year, with projects including home-built transceivers, antennas, and digital equipment to allow members to expand their horizons into new areas of Amateur Radio. A monthly "Get on the Air Day" lets members and non-members use club site equipment to learn about HF and new operating modes. "It is all about building our hobby, helping our community, building our skills, and, most of all, having fun," PCARS said. Chip Cohen, W1YW, of Belmont, Massachusetts, has received the Hamvention 2018 Technical Achievement Award. Licensed for 52 years and bitten by the antenna bug, Cohen became a radio astronomer and astrophysicist, working at Arecibo, the National Radio Astronomy Observatory (NRAO), the Very Large Array (VLA), and others. While a professor at Boston University, Cohen connected fractal geometry with antennas, pioneering a paradigm shift in the design of fractal antennas and what they make possible. The holder of 41 US patents, Cohen is known for inventing the invisibility cloak using fractal antenna techniques. 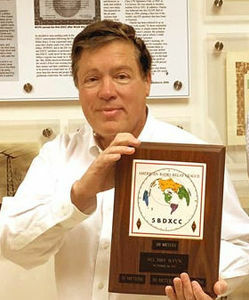 Cohen is a DXCC Top of the Honor Roll DXer and a strong advocate for technical "innovation culture" through Amateur Radio. He is a Life Member of ARRL and a Fellow of the Radio Club of America, where he has served as vice president and director. Heriberto Perez, KK4DCX; Victor Torres, WP4SD, and Emilio Ortiz Jr., WP4KEY, are Hamvention's 2018 Special Achievement Award winners. 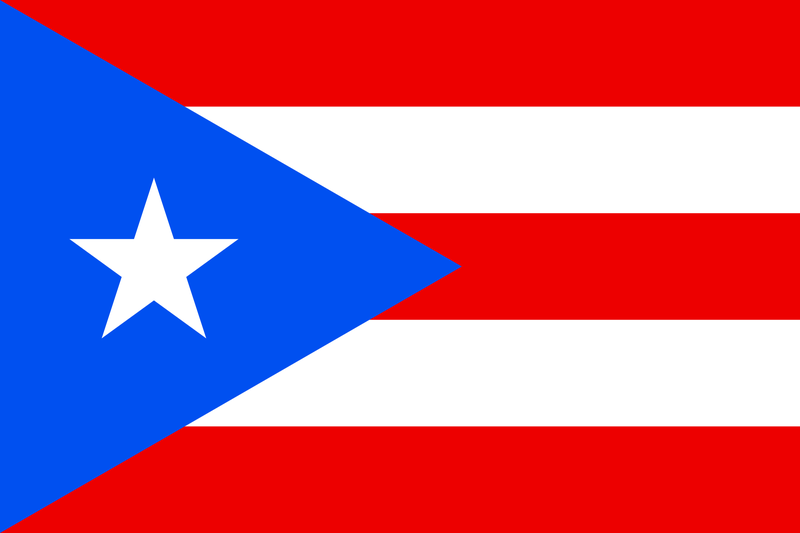 In the wake of Hurricane Maria, which devastated Puerto Rico last September, Perez mobilized his radio equipment to Radio Sol in San Germán, the local public broadcasting station, accompanied by Torres and Ortiz. The team handled health-and-welfare traffic to thousands of families across the continental US. Thanks to the support of more than 45 radio amateurs across the US, more than 4,000 messages were delivered via telephone to anxious families. "We would like to thank everyone who nominated a candidate," the committee said in announcing the award recipients. "The process is always difficult." A formal awards presentation will take place this May at Hamvention 2018 in Xenia, Ohio. Now safely home in the wake of their ill-fated DXpedition attempt to Bouvet Island, the members of the 3Y0Z Bouvet Island team hope to try again to mount an operation from what's been described as the most remote place on Earth. The subantarctic Bouvet -- a Norwegian dependency -- stands as the second most-wanted DXCC entity. 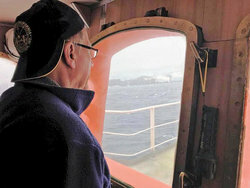 3Y0Z Bouvet Island DXpedition co-leader Ralph Fedor, K0IR, looks out at Bouvet Island from the vessel Betanzos. "[W]e are not the kind of people to give up," DXpedition co-leader Bob Allphin, K4UEE, said in a statement released last weekend. "The same thing happened when we were trying to activate Peter I Island in 2005. We came back the following year and...we got it done." The 2006 3Y0X operation subsequently was judged the "DXpedition of the Decade." All told, the 3Y0Z team spent a month aboard MV Betanzos, the vessel that transported them from Chile to less than a mile off Bouvet to Cape Town, South Africa. Now back home for about 2 weeks, the team has had a little time to reflect. "We have been to Bouvet Island, and as a result, we have a better appreciation for the challenges we face," Allphin said. "It is a dark, dismal, and dangerous place. Yet, when the sun shines, it is magnificent." The most difficult memory for the team, Allphin recounted, is the team's final day off the coast of Bouvet, "when we saw the island, crystal clear in calm winds, less than a mile away. The conditions were perfect for our first reconnaissance flight and possible landing of men and camp infrastructure. But, during the violent night before, the captain had made the decision to abort. In retrospect, his call was clairvoyant. The mechanical propulsion failure on the ship that occurred would have brought disaster if it resulted in some of our men being stranded ashore." Allphin said the 3Y0Z Bouvet team is optimistic that it will get at least some of its money back from DAP, the Chilean company that owns the vessel. "That money [with] what we still have in the bank will allow us to begin making plans to try again," he said. "We have begun the difficult task of looking for a suitable vessel, and would hope to go back to Bouvet in the next year or two." Read more. 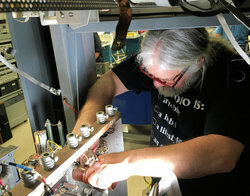 "Adding an Amplifier to your Station" is the topic of the current (March 1) episode of the "ARRL The Doctor is In" podcast. Listen...and learn! AMSAT reports that two of its "GOLF" (Greater Orbit, Larger Footprint) series CubeSats are among 21 missions recommended for NASA's CubeSat Launch Initiative (CSLI) -- GOLF-TEE (Technology Evaluation Environment) and GOLF-1, were among the 21 missions recommended for selection. AMSAT now must negotiate and execute a Cooperative Research and Development Agreement with NASA for each project, in order to finalize selection. "The GOLF-TEE project tees off the next phase of our CubeSat program," AMSAT Vice President-Engineering Jerry Buxton, N0JY, quipped. According to AMSAT, NASA anticipates a sufficient number of launch opportunities but does not guarantee that all recommended payloads will be launched. GOLF-TEE will also carry a Fox-1E design V/u linear transponder and radiation effects experiment for Vanderbilt University. GOLF-TEE will serve as a rapidly deployable low-Earth-orbit (LEO) testbed for technologies necessary for a successful CubeSat mission to a wide variety of orbits, AMSAT said. GOLF-TEE is aimed at providing AMSAT with the hardware and knowledge for attitude determination and control capability, and the opportunity to develop a 3U spaceframe with deployable solar panels suitable for LEO or high-Earth-orbit (HEO) missions, two of the major systems required in future GOLF and HEO missions. 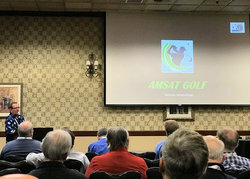 AMSAT Vice President-Engineering Jerry Buxton, N0JY (left), introduces the GOLF project last October at AMSAT's Symposium and Annual Meeting. GOLF-TEE and the GOLF program will provide for the development of "five-and-dime" field-programmable gate array software-defined radio (FPGA SDR) transponders for use on a variety of missions and orbits. The target GOLF-TEE launch date is in the final quarter of 2019. GOLF-1 will serve as a follow-on mission; AMSAT has not yet specified its Amateur Radio payload. Launch is targeted for 2020 - 2021. The GOLF-1 CubeSat will require a de-orbiting plan that complies with NASA requirements for limiting orbital debris, due to the high altitude that AMSAT has requested. It is mere coincidence that the Titanic disaster in 1912 -- one of the worst maritime disasters in history -- and the birth of Guglielmo Marconi in 1874 -- the developer of the wireless gear equipping the ill-fated ship -- both occurred in April. Marconi Wireless Company radio operators aboard the Titanic transmitted the distress signal after the gigantic vessel struck an iceberg in the North Atlantic on its maiden voyage. Co-located Amateur Radio special events in April will commemorate both events, which will take place from FN51, a rare grid square that's mostly water. ARRL International Grid Chase 2018 (IGC) enthusiasts take note! Both events will be held at the Nauset Coast Guard Station in Eastham, Massachusetts. The Titanic/Marconi Memorial Radio Association of Cape Cod operation will use W1MGY, in recognition of the Titanic's MGY call sign. Operation will begin on Thursday, April 12, at 9 AM ET and continue until Sunday, April 15, at 1:27 AM ET (0527 UTC) -- the time when the Virginian heard Titanic's last radio message 106 years ago. The Titanic disaster claimed some 1,500 lives. W1MGY trustee Barry Hutchinson, KB1TLR, said plans call for coverage on all bands, mostly within the General-class subbands, on CW and SSB. Two stations are planned. Marconi's wireless station in Wellfleet on Cape Cod -- now on the National Register of Historic Places -- played a role in the rescue of 740 survivors from the Titanic. Marconi's wireless operator onboard the rescue ship Carpathia contacted the Titanic that fateful night to inform the wireless operator that the Cape Cod station was transmitting messages to the ill-fated ship. The Titanic's Marconi wireless operator promptly replied, "Come at once. We have struck a berg," initiating the rescue of survivors. Grid square FN51 is mostly water. 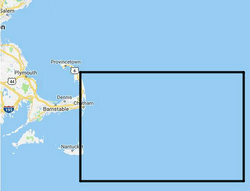 The Saturday, April 21, International Marconi Day (IMD) operation by the Marconi Cape Cod Radio Club will use the call sign KM1CC, which recognizes the former WCC shore station on Cape Cod. Operation will be on CW, SSB, and digital modes. KM1CC will be among many stations participating in IMD activities on April 21. The 24-hour event is typically held on the Saturday closest to Marconi's birth date. 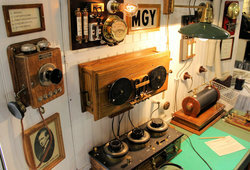 During IMD, Amateur Radio enthusiasts around the world will attempt to make contact with various historic Marconi sites using communication techniques similar to those that Marconi used. Registered stations must operate from a site with some connection to Marconi. Stations may register for International Marconi Day 2018 via e-mail. The list of stations already signed up for the 2018 IMD, along with their operating sites, is posted on the Cornish Radio Amateur Club website. ARRL's expanded presence at Orlando HamCation® February 9 - 11 -- the 2018 ARRL Florida State Convention -- enabled a suitably sized gathering place for attendees to meet and greet volunteers from the ARRL Southeastern Division, including ARRL Director Greg Sarratt, W4OZK, and Vice Director Joey Tiritilli, N4ZUW, as well as Section Managers and ARRL Field Organization volunteers. ARRL President Rick Roderick, K5UR, also greeted visitors to the second-largest US hamfest. New ARRL member Sarah Day, KN4JYI (right), of Apopka, Florida, passed her Amateur Radio license exam at HamCation. 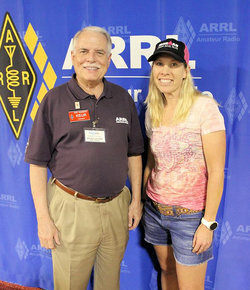 She is seen here with ARRL President Rick Roderick, K5UR. Many attendees took advantage of the huge ARRL book store, made possible this year by HamCation's generous support for ARRL. Convention goers picked up copies of popular new and flagship ARRL publications. ARRL Circulation Manager Yvette Vinci, KC1AIM; Membership Manager Diane Petrilli, KB1RNF; Marketing Manager Bob Inderbitzen, NQ1R, and volunteers Holly Roderick and Sherry Mahafza, KM4VSW, all contributed to the store's operation. A standing-room-only crowd attended the ARRL membership forum, moderated by Southeastern Division Director Greg Sarratt, W4OZK. President Roderick addressed the gathering to highlight ARRL initiatives and answer questions. Sarratt recognized ham radio operators from throughout the Division and country who helped provide public service and emergency communications throughout the 2017 hurricane season and its devastating impact on the southeast US, Puerto Rico, and the Virgin Islands. (L-R) ARRL Southeastern Division Director Greg Sarratt, W4OZK; Puerto Rico Section Manager Oscar Resto, KP4RF; US Virgin Islands Section Manager Fred Kleber, K9VV, and ARRL President Rick Roderick, K5UR. Sarratt also invited ARRL Puerto Rico Section Manager Oscar Resto, KP4RF, and US Virgin Islands Section Manager Fred Kleber, K9VV, forward to accept the 2018 ARRL International Humanitarian Award on behalf of radio amateurs in their Sections who aided in hurricane relief and recovery. Southern Florida Section Manager Jeff Beals, WA4AW, awarded Mo Dake, K9EE, a Certificate of Merit for his 12 years of service as Palm Beach County SKYWARN® Coordinator. A display featuring the ARRL Collegiate Amateur Radio Initiative (CARI) included college pennants contributed by a handful of university radio clubs. Disney systems engineer Andy Milluzzi, KK4LWR, a recent University of Florida doctoral program graduate, led a college Amateur Radio forum. He introduced many opportunities to help foster interest in ham radio among college students and campus radio clubs. Topics Milluzzi and other participants covered included ARRL scholarships, sources of funding for campus radio clubs, and networking students with alumni and professionals. 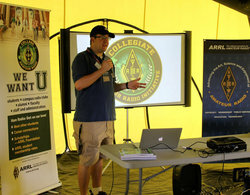 Andy Milluzzi, KK4LWR, leads a forum for the ARRL Collegiate Amateur Radio Initiative (CARI) at Orlando HamCation. Inderbitzen also addressed the forum. "There is a renaissance going on right now with renewing Amateur Radio among our nation's colleges and universities," he observed. Inderbitzen described ARRL's support for college radio clubs by providing opportunities for students, faculty advisors, and other supporters to network via the ARRL CARI Facebook Group and at hamfest forums and exhibits held throughout the country. A video of the forum is available on YouTube, produced by Tony Milluzzi, KD8RTT, an Ohio University graduate research assistant who also participated in the forum. A booth and forum for the ARRL CARI program will also be organized for Hamvention® in Xenia, Ohio, May 19-21. "Bring your school colors to hang in the ARRL exhibit area!" Andy Milluzzi urged. Inderbitzen has posted HamCation photos to the ARRL Facebook page. HamCation is held each year at the Central Florida Fairgrounds. 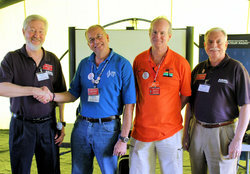 The Orlando Amateur Radio Club (OARC) sponsors the event, with support from volunteers and clubs throughout the region. -- Thanks to Bob Inderbitzen, NQ1R, for information and photos. Read more. Sweden's Post and Telecom Authority (PTS) is considering lowering the maximum transmitter output power for general Amateur Radio stations to 200 W PEP. Under a set of wide-ranging proposed regulatory changes affecting many radio services, radio amateurs wishing to run higher power would have to apply for a license and pay an annual fee of about $33. Amateur Radio licenses were eliminated in Sweden in 2004, and Amateur Radio in Sweden is "permission free," but prospective radio amateurs still must pass an examination, typically arranged by Sweden's International Amateur Radio Union (IARU) member-society in Sweden, SSA. A certificate and a call sign, valid for life, are issued without any future fees. The maximum permitted power on most HF bands is 1 kW; that power level would not necessarily be guaranteed under an Amateur Radio license, and conditions could apply. The PTS's rationale is that requiring a license for radio amateurs who want to run more than 200 W will make it easier to trace any interference that those transmitters may cause. "The matter is widely discussed in Sweden," Henryk Kotowski, SM0JHF, told ARRL, "since there are quite a few opponents to permission-free operation, resulting -- in their eyes -- in degradation of quality and discipline on the air." SSA is planning to comment on the proposal by the March 30 deadline. Tad Cook, K7RA, Seattle, reports: Only March 2 showed any sunspot activity over the past week, with a daily sunspot number of 11, so average daily sunspot activity declined from 6 to 1.6. Average daily solar flux went from 68.3 to 67.6. Geomagnetic indicators were quiet, with average planetary A index dropping from 10.4 to 5.1, and mid-latitude A index from 7.4 to 4.6. 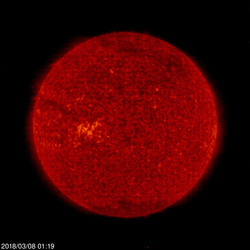 Predicted solar flux is 68 on March 8-15; 70 on March 16; 72 on March 17-29; 70 on March 30; 68 on March 31-April 11; 70 on April 12, and 72 on April 13-21. Predicted planetary A index is 5, 8, 12, and 10 on March 8-11; 5 on March 12-15; 12, 15, and 18 on March 16-18; 5 on March 19-20; 12, 18, 10, 5, 8, and 20 on March 21-26; 5 on March 27-29; 8 on March 30-31; 5 on April 1-3; 8 on April 4-5; 5 on April 6-9; 10, 12, 12, 15, and 18 on April 10-14; 5 on April 15-16, and 12, 18, 10, 8, and 5 on April 17-21. Sunspot numbers for March 1 through 7, 2018 were 0, 11, 0, 0, 0, 0, and 0, with a mean of 1.6. The 10.7-centimeter flux was 67.2, 67.8, 67.8, 67.5, 67.6, 67.6, and 67.8, with a mean of 67.6. Estimated planetary A indices were 6, 4, 6, 6, 5, 5, and 4, with a mean of 5.1. Estimated mid-latitude A indices were 5, 3, 5, 7, 5, 4, and 3, with a mean of 4.6.